Business Training Products for Under $200. Below are selections of business training and human resources products to help your organization. The video tapes we've chosen are very economical. They are are easy to use, follow, and understand. They give concrete examples, illustrations, or techniques that can be used across the board for most businesses. Effective sales skills are useful to everyone. Everyday, every person in your company has the opportunity to sell the company. This video contains easy-to-follow steps in fundamental sales techniques to assist company employee gain essential sales skills. 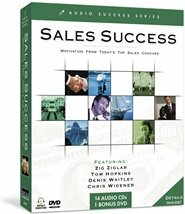 This wonderful package comes with the VHS training video Making Everyone in Your Company a Salesperson and two training CD-ROMs: Negotiations Handbook and Sales Skills (Windows� XP, 2000, 98 and 95 compatible) containing two printable books and two hours of video examples in sales and negotiation techniques. You may purchase the entire Making Everyone in Your Company a Salesperson January Package on VHS and CD-ROM for $169.95. Negotiations Handbook by Deaver Brown - Learn the right way to negotiate so you get what you want! In one hour of video, real-life executives demonstrate the right and wrong ways of negotiating in personal and corporate situations. Includes a 52-page printable book. Instructions on separating the issues from the people, identifying your interests, proposing options, and keeping the end in mind. Sales Skills by Deaver Brown - Learn what it takes to get the order! One hour of video showing actual sales calls that demonstrate the right and wrong way to sell. Key sales advice from finding likely prospects, identifying interests, proposing options, closing the sale, and always keeping the end in mind. Part 6: Personality Traits: Nice, Firm, Listen, Give �em What They Want! 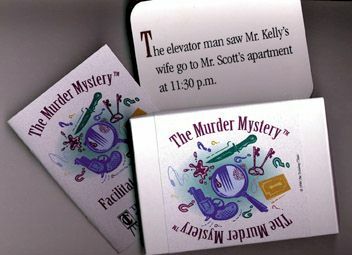 The Murder Mystery is a 30 minute discussion activity that enhances a variety of training programs. Everyone has something to contribute to a discussion. By sharing information using the 27 clue cards you can solve the Murder Mystery: identify the victim, the murder weapon, the time and place of the murder, the murderer and the motive. Dynamic. Inspiring. Authoritative. Brian Tracy has been celebrated by over 2 million people in 23 countries. One of America's premier speakers on the subject of human potential and personal achievement, Tracy is the author of almost two dozen business-related bestsellers. 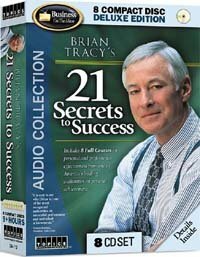 Now, he shares his field-tested techniques in Brian Tracy's 21 Secrets To Success, a full-length 8 compact disc audio compilation of his most popular motivational works. Whether you're a novice entrepreneur looking for capitalization to quickly build sales and cash flow, or a seasoned manager hoping to hire, nurture, and retain the most valuable personnel, you'll find these recordings to be the provocative way to organize your time, prioritize your key tasks, and realize your full potential. You can hear samples and clips from the following programs on Human Resources Radio. Tune in to Listen and Learn, twenty-four hours a day. True or False? Effective public speaking requires rigorous practice in front of a mirror, a speech with lots of jokes, and telling yourself to relax. 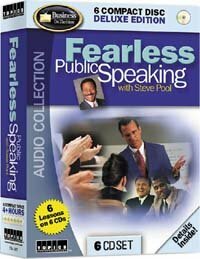 As Fearless Public Speaking with Steve Pool makes clear, the answers are: False!, False!, and Completely Untrue! Let Steve Pool, seven-time Emmy Award-winning broadcaster, internationally syndicated TV series host, and speaking coach to Fortune 500 companies, debunk these, and other, common misperceptions about facing an audience. *Including Franklin D. Roosevelt, John F. Kennedy, and more. It�s a multi-session leadership retreat in a box! And with Leadership on 14 audio compact discs, you�ll have unlimited access to the world�s top success coaches any time you want. From motivation and meetings to memory enhancement, the Leadership audio suite offers hours of inspiration and practical steps to power-up your influence in all areas of the workplace and beyond. It�s a multi-session retreat in a box! And with Live Your Best on 14 audio compact discs, you�ll have unlimited access to the world�s top success coaches any time you want. From wealth-building to weight loss; time management to transforming the workplace, the Live Your Best audio suite offers hours of inspiration and practical steps to power-up your influence in all areas of the work environment and the home. Marilyn Sherman - Whose Comfort Zone Are You IN? The Deal of the Decade comes along every week. Are you free Monday? 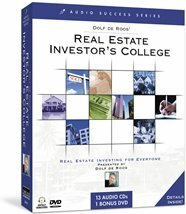 Let property investment guru Dolf de Roos demonstrate insider techniques and field-tested strategies designed to maximize property value for all levels of real estate investors, as he shows just how frequently unique opportunities present themselves to those in the know. Spotting property with a below-value "twist"
Purchase & Sale clauses that work for you! The Offer: yield a bit, or stand your ground? It�s a multi-session motivational retreat in a box! And with Sales Success on 14 audio compact discs, you�ll have unlimited access to the world�s top sales motivators any time you want. From networking to negotiations, the Sales Success audio suite offers hours of inspiration and practical steps to power-up your influence while building and solidifying your client base. George Walther - Never Make Another Cold Call! Leading is a dynamic process, an attitude, a set of behaviors you can learn. You already have the keys to leadership inside you -- vision, self-discipline, energy, competence, and compassion, There's no magic to it -- personal leadership techniques can work for you. This video shows you how. You may purchase Bringing Out the Leader in You on VHS for $149.00. This 26 minute video gives you realistic child-care solutions, planning tips, and ideas for dealing with stress -- plus four steps you can take right now to gain control of your life. You'll see the difference in your family, your work, and yourself. You may purchase Juggling Your Work and Family on VHS for $149.00. Teams in business -- quality teams, high-performance teams, self-managed teams, semiautonomous teams -- can enhance performance, increase productivity and improve a groups's ability to solve problems and make decisions. Sometimes, however, teams have problems -- in-fighting, for instance, Many teams self-destruct before they accomplish anything. This tape shows how to keep the team together and focused on the goal. You may purchase Keeping Teams Together on VHS for $149.00. We all know the toll conflict takes in time, money, and mostly, stress in our daily lives. Most of us see conflict as a battle of wills with a triumphant winner and a dejected loser. But it doesn't have obe that way at all. This video shows you a better, more productive way to handle conflict. You may purchase Keeping Your Cool When Others Don't: Strategies for Conflict Management on VHS for $149.00. Decisions, Decisions, Decisions. With too little time, never enough money, and pressure from somebody to do something, we're forced to make decisions all the time, As a result, we're never really sure about the decisions we've made. This video will help you take a lot of the anxiety out of your personal and professional decision-making. You'll see how others make their best decisions. You'll learn the guidelines that will enable you to reduce the fear and uncertainty in your decision-making. You may purchase Making the Best Decisions You Can on VHS for $149.00. You may purchase Making Everyone in Your Company a Salesperson on VHS for $149.00. No matter how efficiently or carefully run, every business in America is going to experience the irate, unhappy customer. The skills learned in this video apply equally well inside every company when it comes to dealing with fellow employees, plus business associates outside your company and in the community. You may purchase Making Unhappy Customers Love You on VHS for $149.00. You can communicate more effectively by mastering the subtle visual and vocal aspects of presenting yourself -- by learning how to send the right nonverbal signals at the right times. You'll get expert advice on how to use gestures, posture, eye contact, tone of voice, and facial expression to get your ideas across -- and get the results you want. You may purchase Making Your Point Without Saying a Word on VHS for $149.00. Traditional time management techniques work great for some people, but sabotage the best efforts of others. This video reveals the secrets to making time work for you -- whether you're a logical individual with a knack for neatness or a free-spirited creative type who lives and works surrounded by towering piles of paper. You may purchase Managing Time Your Way on VHS for $149.00. Through an exciting newsmagazine format, gain dozens of lively ideas, useful tips and expert advice on how to properly motivate others. Discover what the top-rated employee motivators are and how to use them while learning how to elicit superior performances through concrete guidelines. You may purchase Motivating Others on VHS for $149.00. This 31 minute training video award winner from the U.S. Industrial Film & Video Festival shows you an array of practical tips for refocusing your mental and physical resources to maximize your performance both on and off the job. You�ll find fitness tips you can use at your desk and specific guidelines and practical methods to improve your performance. . . increase your stamina. . . guard against burnout. . . and turn stress into a positive motivator. You may purchase Re-Energize Yourself on VHS for $149.00. Without goals, we tend to feel frustrated and directionless. To set goals, and effective plans for achieving them, we must know where we want to be, where we really are now, and how we intend to get there from here. This video shows how to answer these questions. You may purchase Setting and Achieving Your Goals on VHS for $149.00. This video shows you how to minimize the risk you take -- and maximize your chances of success. Every blueprint for careet advancement and personal success involves risk. You need a strategy -- a personal action plan to help you identify risks, weigh possible outcomes and benefits, and make practical back-up plans. You may purchase Smart Risk Taking on VHS for $149.00. Consider how much of your time -- both in the office and at home -- is spent negotiating. Planning work flow with other areas, resolving interpersonal conflicts, allocating limited resources to various projects -- all demand that you be a skilled negotiator. Anyone who want to reach his or her goals while maintaining a healthy work and personal relationship will enjoy and learn from this video. You may purchase Successful Negotiating on VHS for $149.00. This 25 minute video will show you how to condition your mind to see the upside of even the most difficult situations. You�ll see how talking to yourself in a positive way, focusing on positive thoughts, and being positive with other people will create good results, peace of mind, and success in both your professional and personal life. You may purchase Success Through Positive Thinking on VHS for $149.00.